Steve Jobs was said to have taken a look at himself every day in the mirror and asked if he liked his life. If not, he resolved to change the part that he didn't like. Maybe there is more to a successful life that this, but the idea of resolving to change things is essential to avoid stagnation. 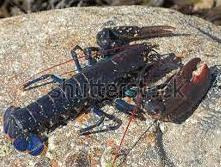 A lobster is not smart enough to realize it has to move off of a rock in order to survive. It will just sit there, dry up, and die. Businesses can be like that lobster; sometimes painful or anxiety provoking changes have to be made or the business will stagnate and eventually disappear. The son of a WWII Soviet tank commander once told me in that army there was a proverb, "One bad decision is better than two good ones". The point is that indecision is often more dangerous than being decisive and wrong. An example from US history is McClellan's handling of the army in the Civil War. He correctly whipped raw recruits into shape, but then couldn't be moved out of the camp to engage the enemy. It seems reasonable to me that this indecision cost far more lives than it saved. IT decisions can be complex, so get help and advice from someone you can trust. But decisions must be made. Too many risks are out there waiting to destroy your business to do nothing.